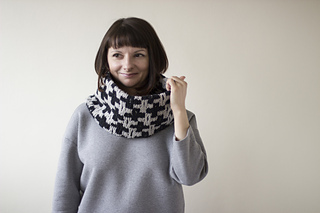 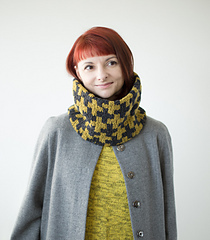 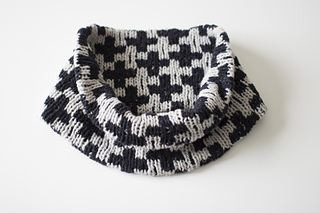 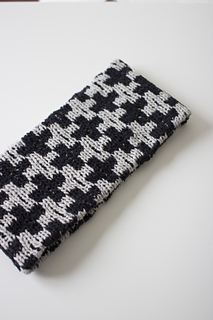 This cowl has been inspired by recently published JUJUKA COWL in my CAPSULE book for Brooklyn Tweed. 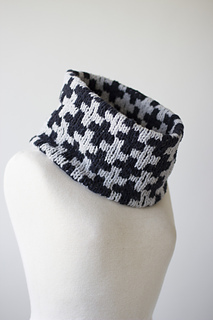 This version of crosses patterning is worked in thicker yarn and smaller scale for an instant gratification accessory. 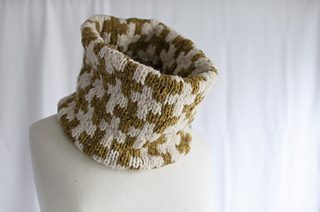 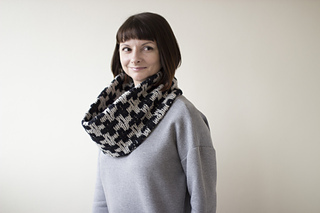 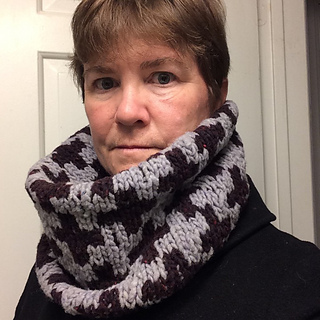 Just like JUJIKA this cowl, it is work bottom up and in the round with live stitches later grafted in colorowork to form a continuous seamless tube. 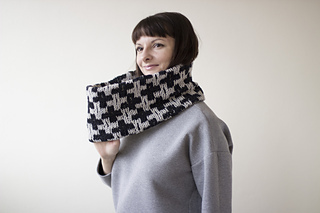 With additional volume and doubled thickness it provides extra warmth and shelters one’s neck from the elements.